Blank page staring right back at you? 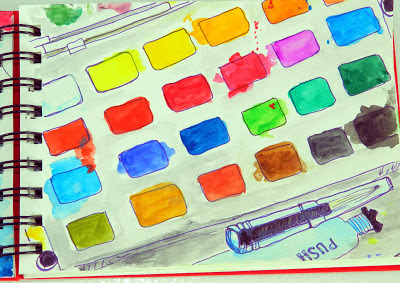 Watercolor palette not issuing specific instructions on what to with it? 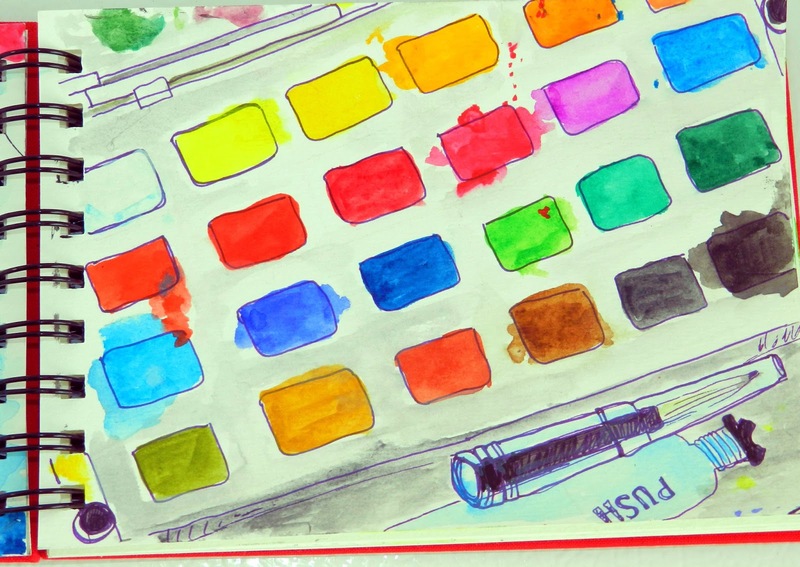 Fool them both and fill that blank page with a painting of your watercolor box! I saw this on somebody's blog somewhere and I wish I could remember who it was so I could give them proper credit. Thanks for the inspiration and helping me break in my supplies! 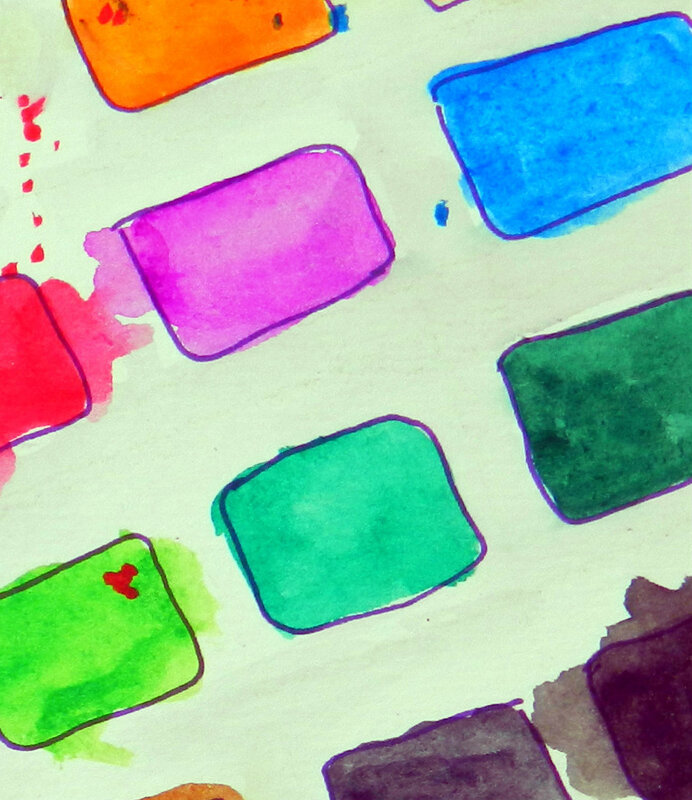 There's nothing simpler...watercolors are usually circles or squares of pigment arranged in a rectangle. You don't need to add your brush like I did, but why not go for it! Oh! Yes, that is purple ink. I was so excited to get started that I grabbed purple instead of black. I was too engrossed in what I was doing to even notice that I'd done it, but I like it! 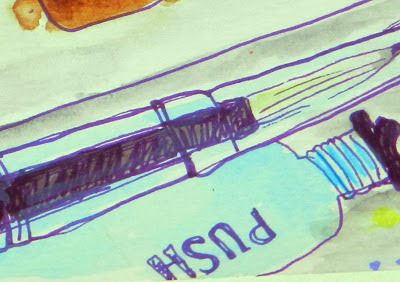 I LOVE This its sooo sweet and what a perfect way to get your watercolour mojo back if its gone missing !